Ikebukuro is one of the most famous sightseeing spots in Tokyo, and many people go to Ikebukuro for shopping, eating, and hanging out. 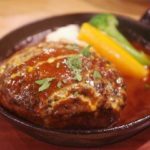 Today we’ve listed up some of the best Izakaya in Ikebukuro for you to visit, which apparently worth every penny of you to try! Ikebukuro no Kaze literally means the wind of Ikebukuro, and this izakaya is famous for its great collections of imported and local craft beers. From lager beer to fruits beer, you can find many different types of beers at Ikebukuro no Kaze. Among all of those amazing beers, our favorite is the White Draft Hoegarden which costs JPY 800 each. You can get 50% discount for this beer if you like their Facebook Page, and every Monday and Tuesday you can enjoy this beer for JPY 400 each. Ikebukuro no Kaze also serves great Black Japanese Beef steak and curry as well! 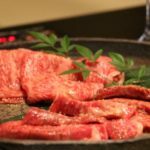 If you want to eat delicious meat dishes in Ikebukuro, then you should definitely visit Niku Bar KACCHAN for its juicy steak and grilled meat! Niku Bar KACCHAN serves beef, pork, and chicken dishes at reasonable price, starting from JPY 550 per portion. Our favorite is the Japanese Beef Moriawase (JPY 1690), Japanese Beef Sirloin Steak (JPY 2,880), and Japanese Beef Carpaccio (JPY 1,080). Instead of medium rare, you should try the meat here rare to taste how juicy they really are! Omata is the most famous izakaya in Ikebukuro, and many people visit this izakaya for its great collection of Japanese Sake and delicious food. Our favorites are their great Grilled Salty Mackerel (JPY 600), Grilled Salty Chicken (JPY 850), and Iidako no Uniae (JPY 650). Omata also serves great lunch with large portion, which you can get for a very reasonable price as well! Close on Sundays, National Holidays, and second Wednesday. With more than 50 years of history, Sakaba Fukuro has been serving the area with its great seafood dishes and shochu collections. Serving the customers both foods and alcohol from early morning, Sakaba Fukuro is famous for its great grilled hokke, nishin shioyaki, and other seafood dishes made from fresh ingredients taken directly from Chiba prefecture. You can also enjoy drinking Japanese Shochuu and Hoppi at Sakaba Fukuro for a very reasonable price as well! Sushi Izakaya Koike is famous for serving delicious sushi pieces and its affordable dinner courses. At Koike, you can enjoy an all-you-can-eat and all-you-can-drink dinner program for JPY 3,480 only, so you can enjoy eating sushi as much as you want! 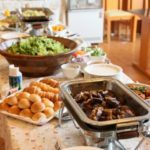 In addition to sushi, you can also eat takoyaki, yakitori, gyoza, sashimi, edamame, and hot pot as much as you want for 2.5 hours! Open until 5 in the morning, why don’t you stop by Koike for an exquisite dining and drinking experience? 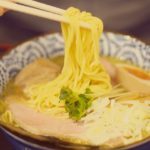 Chidori is one of the oldest izakaya in Ikebukuro, and it is famous for serving superb Japanese home cuisine to its customers at a very reasonable price. One of the most famous dishes served at Chidori is the Nikudofu. The Nikudofu at Chidori is exceptional, you can taste that the tofu and the meat absorbs the shoyu and other seasonings perfectly! 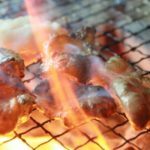 Chidori is also famous for its great grilled Suzume and Hinadori Chicken Wings as well! Amaterasu is located on the corner of Ikebukuro, and it is famous for its great collections of Japanese Sake and delicious home cuisine. Our favorite dishes are Madara To Nahana no Karashi Goma Ae and Wakasagi Karaage no Tosazukake. 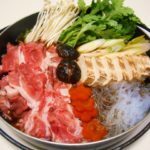 In addition to these dishes, you can also enjoy eating many seasonal dishes at Inamizuki Amaterasu as well! Teshigotoya is a small izakaya in Ikebukuro, and it is famous for its delicious and fresh seafood dishes and Japanese Sake. Teshigotoya always have the ingredients delivered directly from the local farmers and local fish market, so you can enjoy fresh sushi, sashimi, and grilled fish at Teshigotoya. You can also find more than 120 different types of Japanese Sake at Teshigotoya, and we strongly recommend you to try those sake together with grilled Ayu and Tsukune! You should definitely visit Meat Chops if you want to eat something non-Japanese! Meat Chops is very famous among young people, and many of them use the restaurant as a date spot as well! Our favorite dishes are thick bone kushiyaki, beef suki kushiyaki, and homemade cheese hamburger steak! The fried chicken wings are offered in three different flavors: standard, cheese, and spicy! Sanpuku is one of the oldest yakiton izakaya in Ikebukuro, and it opens from 3 in the afternoon. Our favorite dishes are the assorted yakiton, motsu nikomi, and the hidden menu lasagna! You should definitely try Sanpuku if you’re somewhere around Ikebukuro! 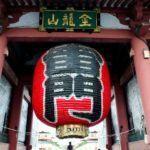 Let’s Go to the Best Izakaya in Ikebukuro! Ikebukuro accommodates not just great sightseeing spots, but also many shops and restaurants. 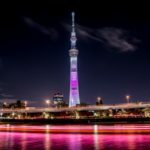 Many people visit Ikebukuro for shopping, eating, and hanging out, as the area also accommodates many great izakaya as well. 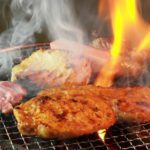 We have shared our recommendations for izakaya in Ikebukuro, so why don’t you visit one of these izakaya when you’re around Ikebukuro?